Welcome July, great picnic food, great meal plans, patriotic parades, friends, and family. I love this week and the opportunity to celebrate the freedom of our amazing country! When July 4th is in the middle of the week that means we get to celebrate just a little longer than usual. 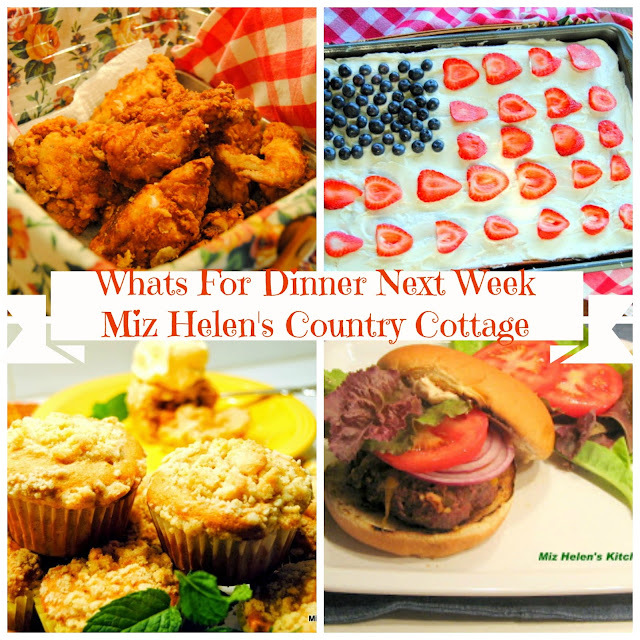 Many of our activities will start this weekend and continue through the week, so I am getting all set for an active cottage this coming week! Hello everyone and welcome to Full Plate Thursday. Our last party of the month and we have our Top Ten Features from last weeks party. We have some awesome features so be sure and stop by to check out these great blogs. We are starting to get ready for the 4th of July celebration here at the cottage. Our little area will have weekend celebrations and then our annual parade on the 4th of July, looks like we will be celebrating for a week. Come on in, get a cold glass of iced tea and find your place at the table, lets get started! My husband loves Mandarin Oranges and consider's them a treat. He will put them on top of his nightly bowl of Blue Bell, they appear on his dinner plate and a side for breakfast. 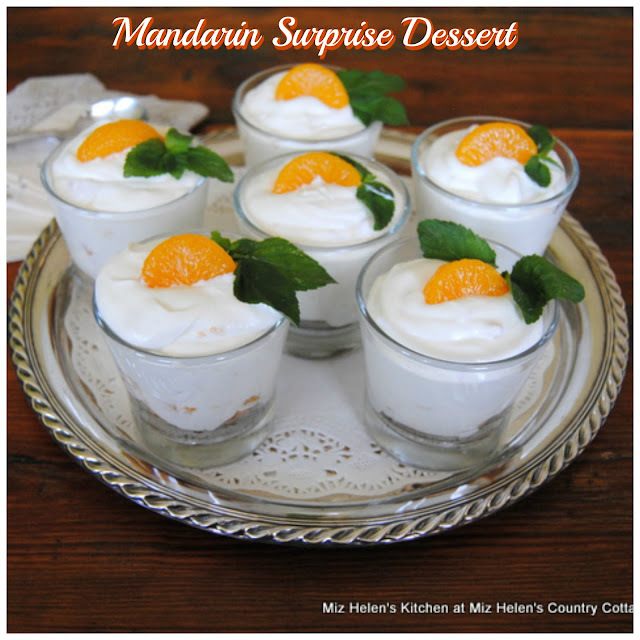 I wanted to make a special little dessert for him to surprise him with his favorite Mandarin Oranges. This is a very simple dessert that will be a great treat for a special husband or great individual desserts for a group of friends. Grilling season is a fun time to be outdoors with family and friends enjoying some awesome food from the grill. 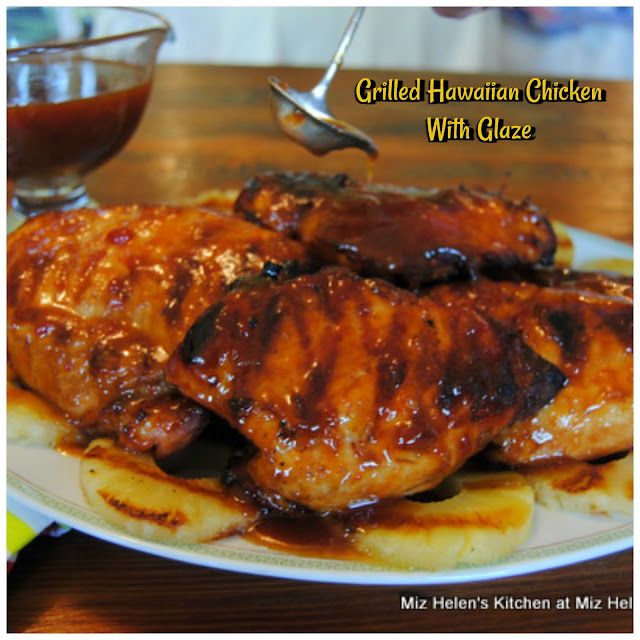 Our Grilled Hawaiian Chicken has a great flavor that is enhanced by a fantastic glaze that can be used on many different grilled meats. The chicken is marinated in a simple marinate over night and then its ready for the grill. 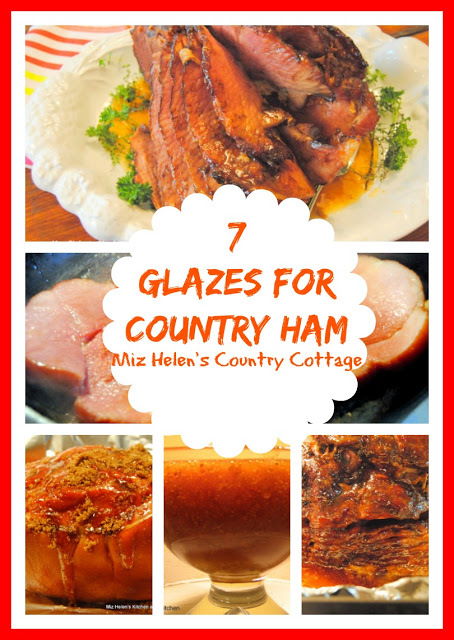 This is a very simple recipe that gives a huge return in flavor. We have been enjoying some great rain today and it has really cooled things down a bit giving me a chance to sit on the screen porch and spend time with you. 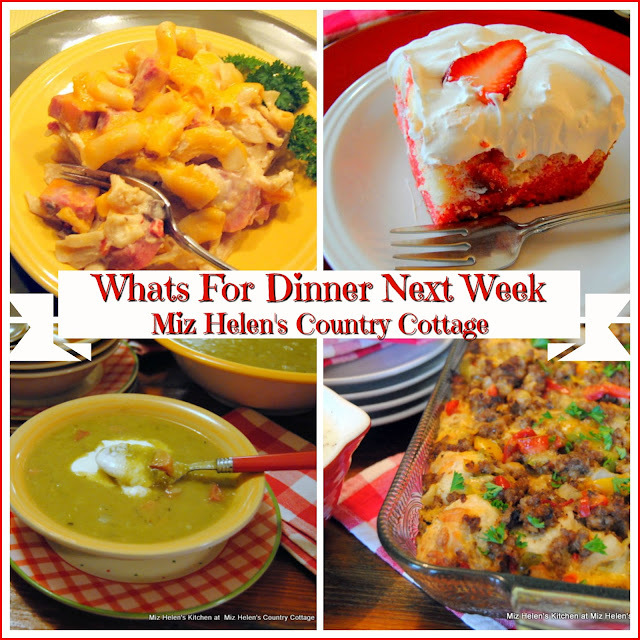 I sure am glad that we can take the time and plan meals every week, there are so many advantages to meal planning. For me meal planning helps me stay organized and gives a little more structure to nutritional requirements for me and my family. It also saves time, because we are not roaming up and down the supper market isles wondering Whats For Dinner Next Week. 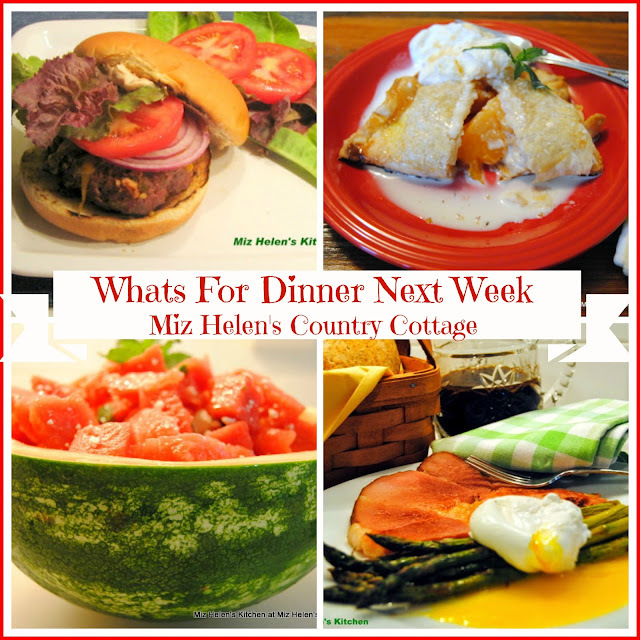 The first day of summer and the heat sends us all looking for the coolest recipes to use and enjoy. 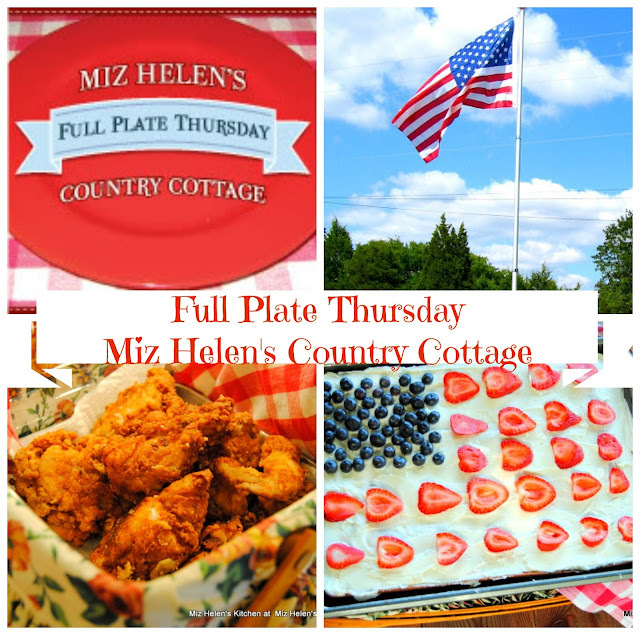 Welcome to Full Plate Thursday, we are set up on the screen porch today, just have a nice glass of southern sweet tea and enjoy your visit with us. 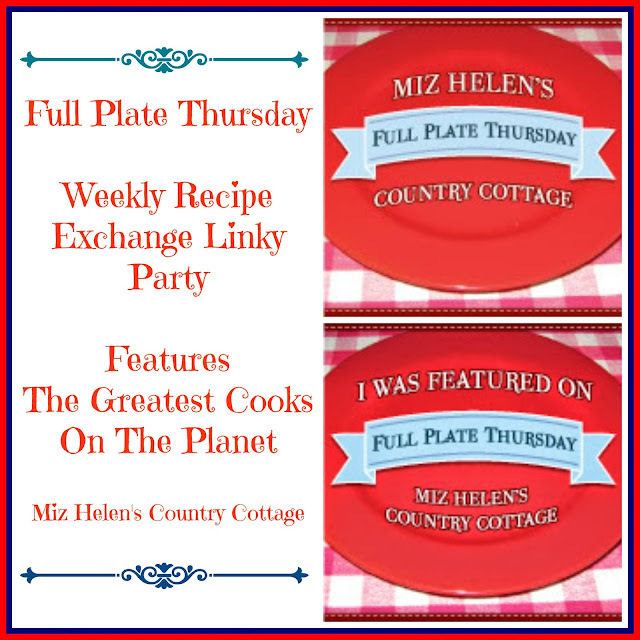 We have great features from last week party that I sure hope you will take the time to visit and lots of ideas to help you enjoy your summer cooking. I look forward every week to all the wonderful post that you bring to share with us, so lets get this party started! Our family love's cobblers, I remember when I was a young girl, we were never without a fruit cobbler at our family dinners. If it was summer, we would have fresh fruit cobblers and in the fall and winter it would be home canned fruit from last years harvest, but the cobbler was always delicious no matter what season it was. We have fresh fruit right here in our garden and what we don't have our neighbors share with us, all the fresh fruit makes for great cobblers here at the cottage. Mixed Berry Cobbler is an old fashioned recipe with a combination of fruits that we have currently in harvest. 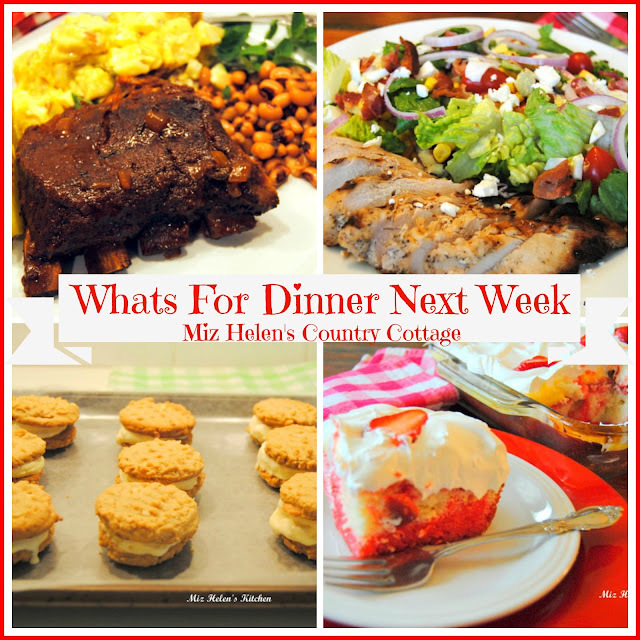 The fresh flavors of this cobbler is amazing! 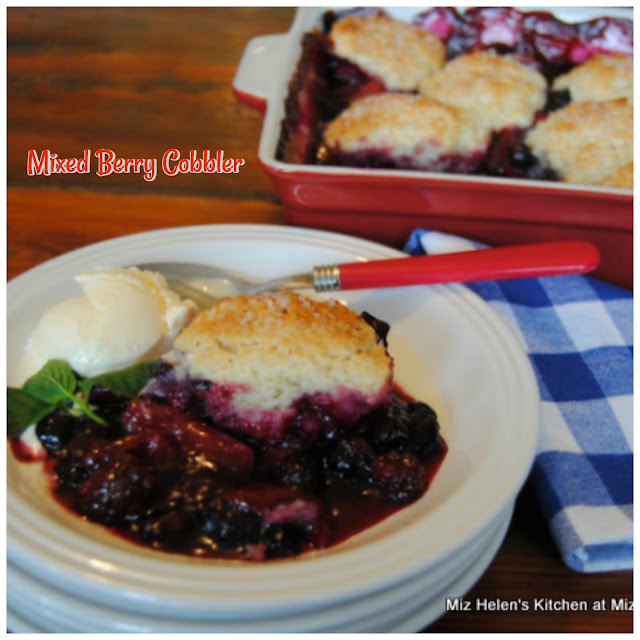 Today with our farmers markets it is possible to find fresh berries almost year round, making it possible to make this cobbler recipe any time of the year! 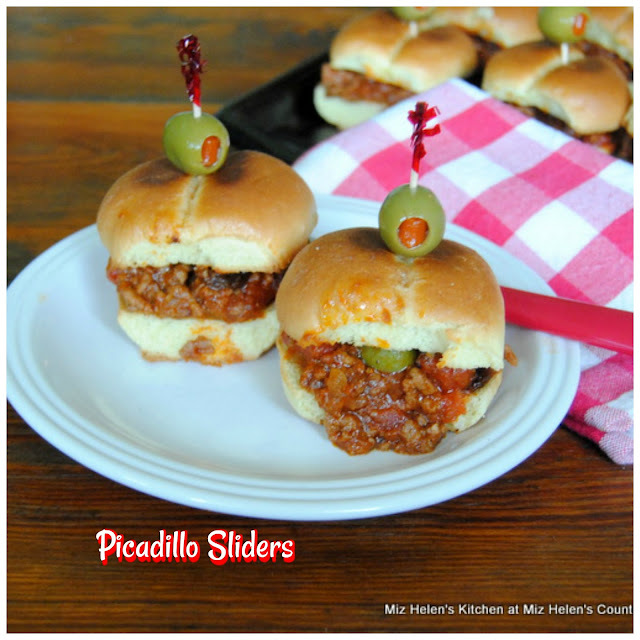 If we are having a informal gathering for a group of friends or just a quick family supper, these little Picadillo Sliders are the best. I have combined this flavorful Latin American and Cuban dish to make these delicious sliders. 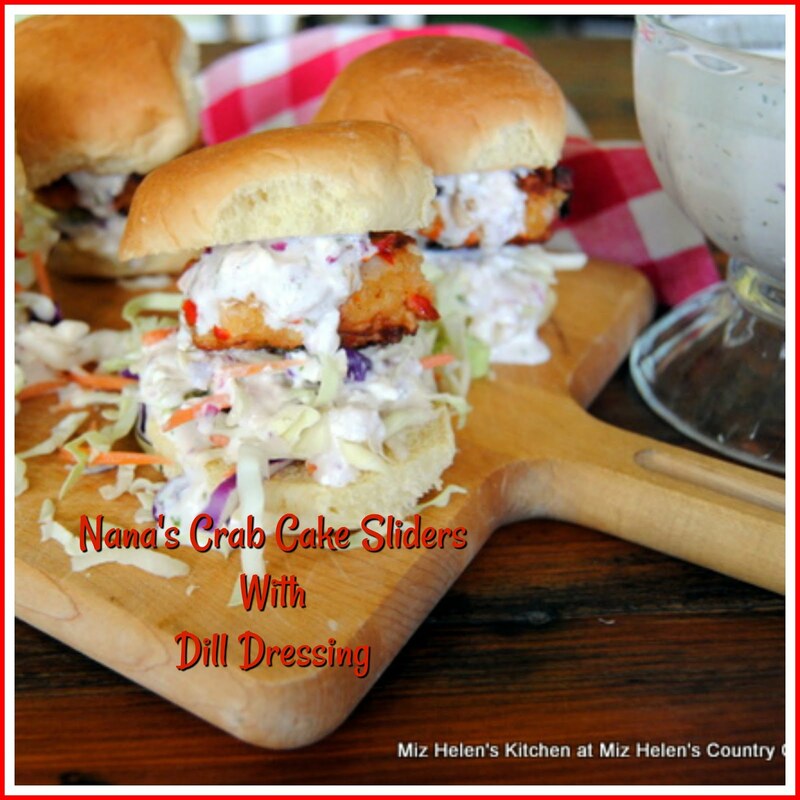 This is a great recipe that takes very little time and can be served right away either as a slider or on a larger bun. We have even used this awesome sauce as a pasta sauce and it is delicious. 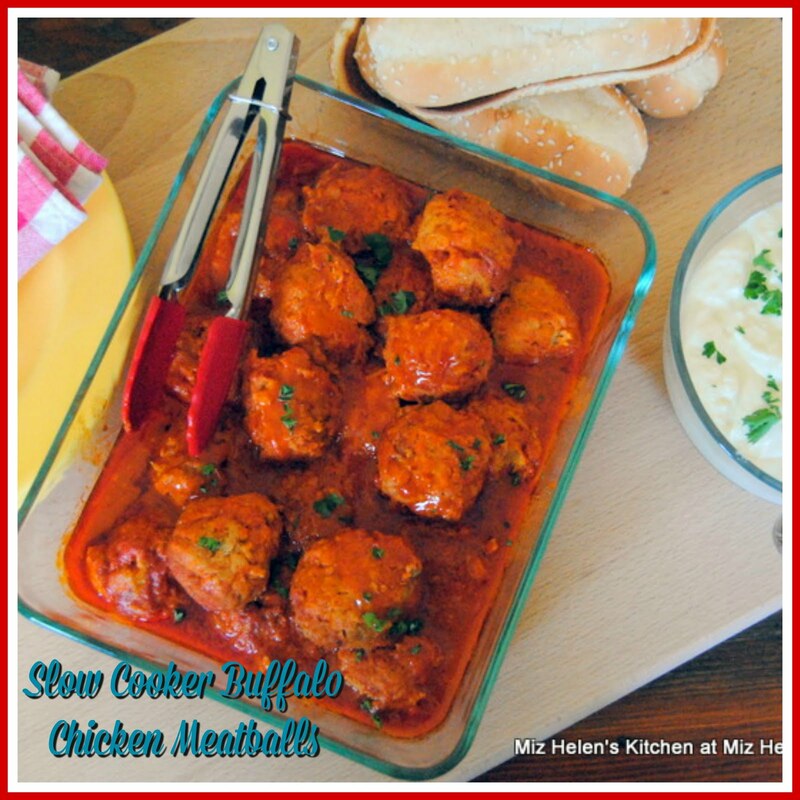 This is one of those recipes that can really work for you, a great go to meal. Its Fathers Day Weekend and the guys get to pick the menu, that may be scary could be we end up with 3 starches or an all carb meal or maybe with my husband it would be just pie and Blue Bell. We will have to wait and see what they end up with, (help)! 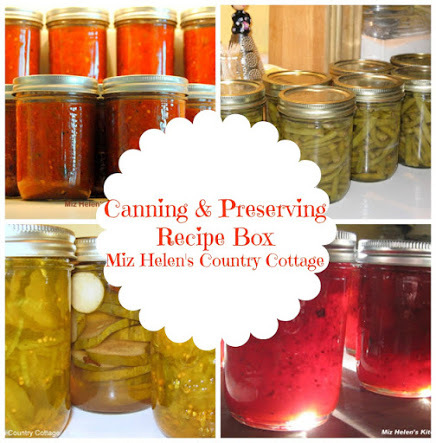 I have started to do a little canning as we are having a big tomato harvest this year. 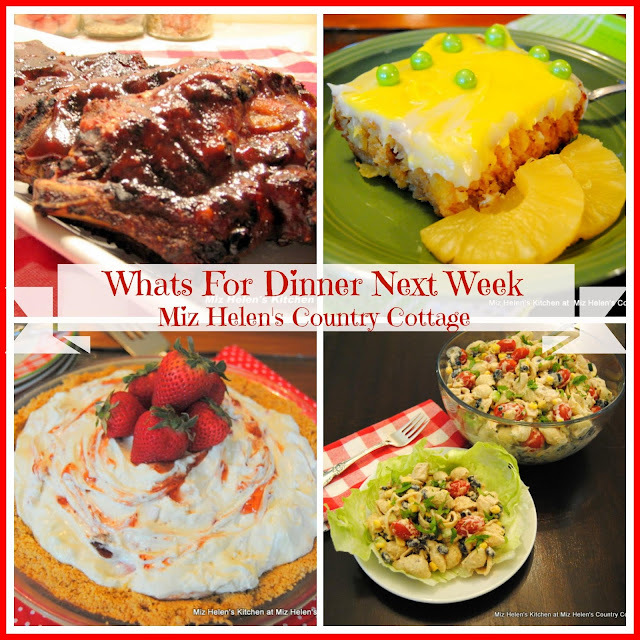 It is going to be fun planning the meal plans for this week. What will you be making your guys this weekend? 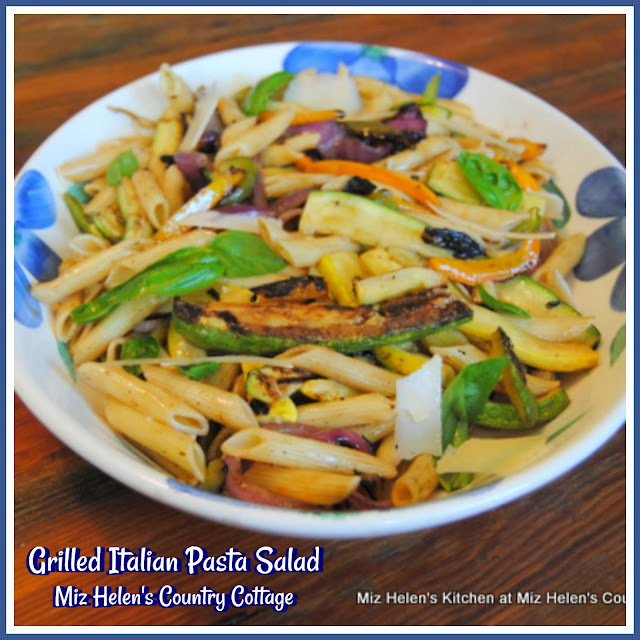 We have some wonderful garden vegetables right now and some of them are headed for the grill to make this flavorful salad.Grilled Italian Pasta Salad, a garden to grill to table, fresh salad filled with delicious Italian flavor. This is a great fresh salad that takes no time to make and taste like you have been working on it all day. The Italian flavors in this salad with the mix of vegetable and Italian seasons makes it a favorite salad of the season. I spent a lot of time with my Grandparents on their farm when I was a young person, and one of the wonderful memories I have is going to the peach orchard with my family and picking peaches. 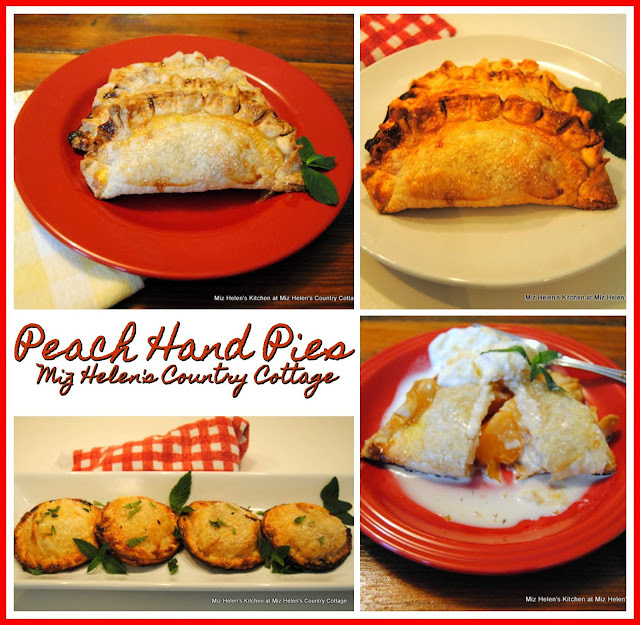 My Grandmother would make many different recipes from the peaches but one of my favorites was her hand pies, or her Fried Peach Pie. 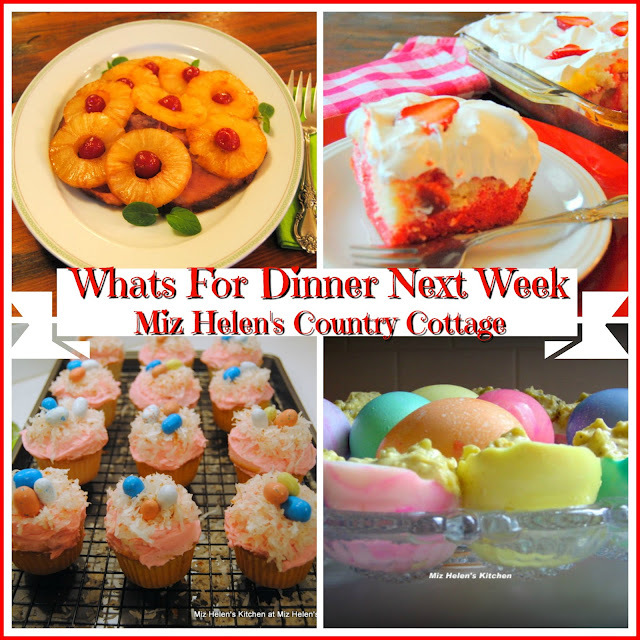 This recipe is very close to my Grandmothers recipe, but my pies are not fried, they are baked. They could easily be fried but we enjoy them baked and the spice mix for this pie will have you asking for seconds! 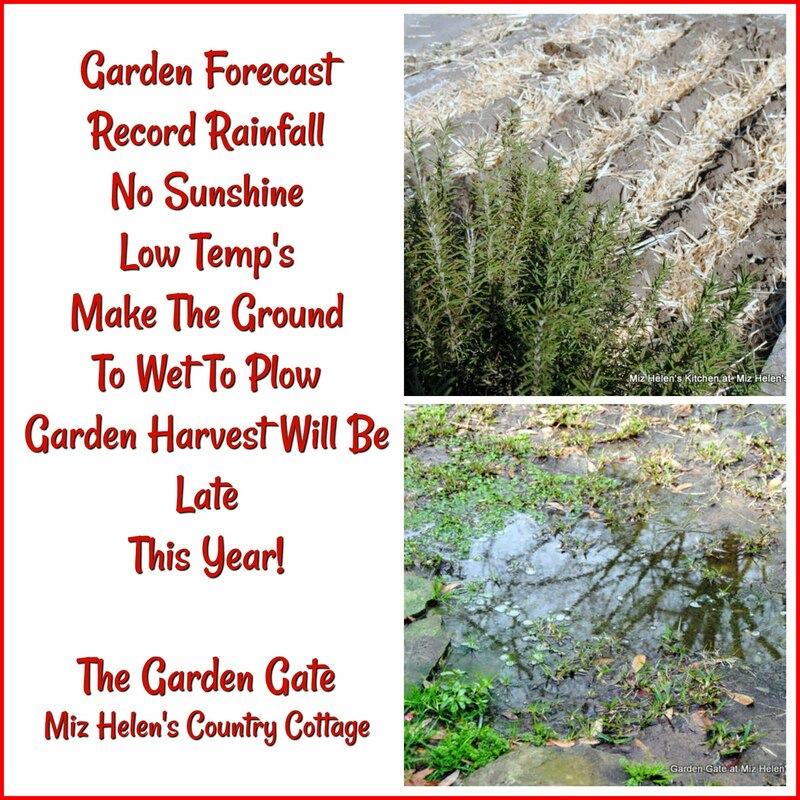 We are having a little morning shower and that means we don't have to water the garden today. 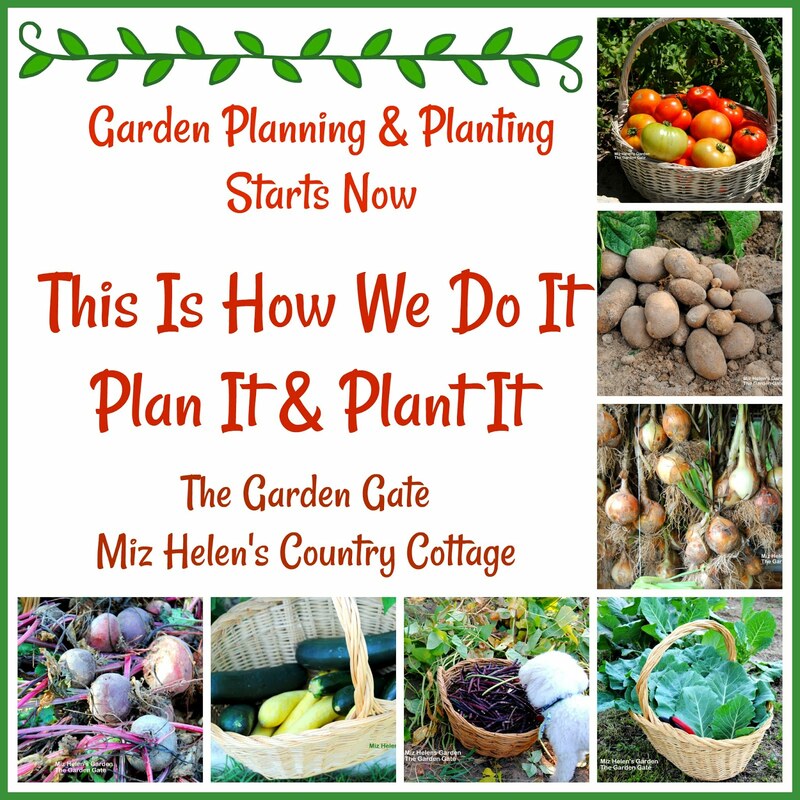 I was in the garden earlier to check what will be available for my meal plan, it started raining so I have retreated to the screen porch to write my meal plans for the week. I will be including some great fruits and vegetables on the plan this week. Looks like we will need to include a nice indoor meal for a rainy day. 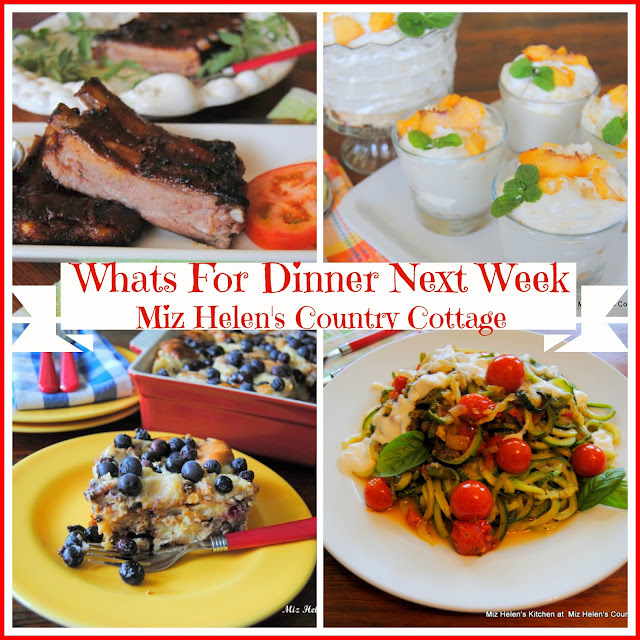 Meal planning sure makes my life easier and helps to keep our family organized. Welcome to our first party in June! 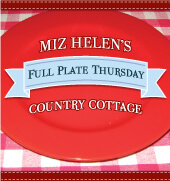 Come on in the cottage and find a place at the table, we are having a party. 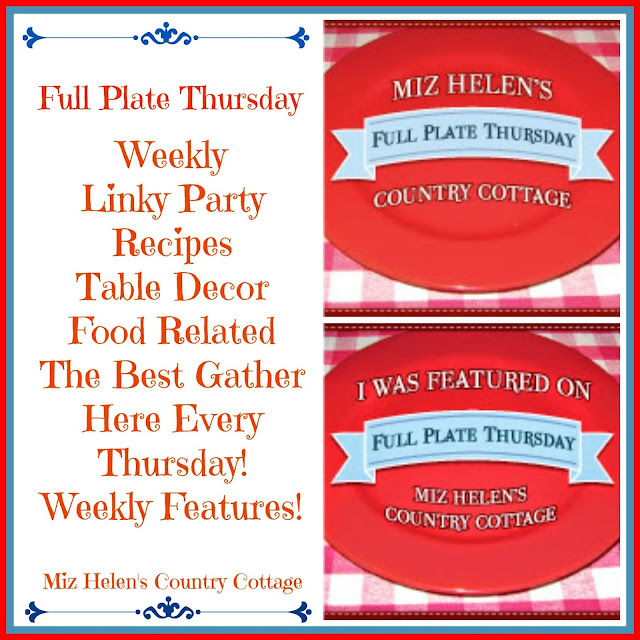 We have some great features from last week for you to visit and enjoy, plus I can't wait to see what all of you will be sharing with us at the party today. 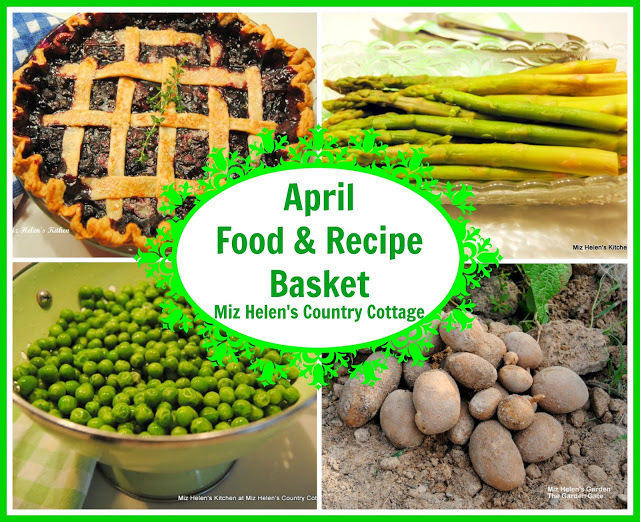 We are all starting to grill and bringing our garden to table recipes to our tables, it is a wonderful time of the year for fresh fruits, vegetables and great times with family and friends! 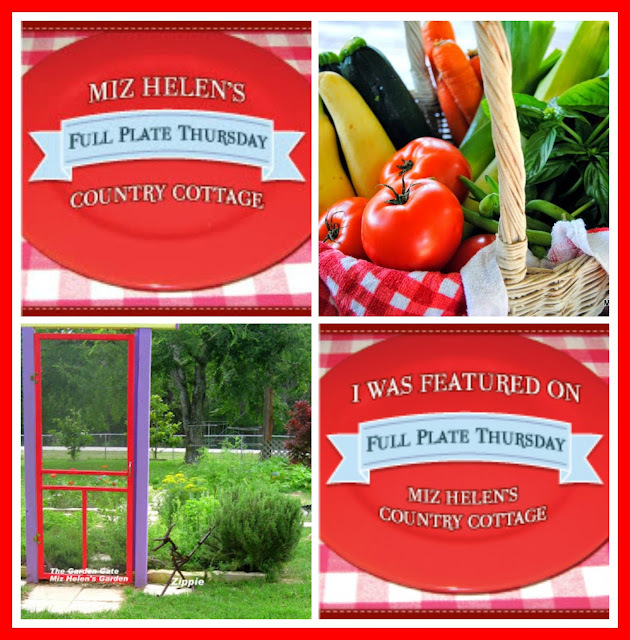 I love a cob salad, and when you add some very flavorful chicken it is a delicious meal. 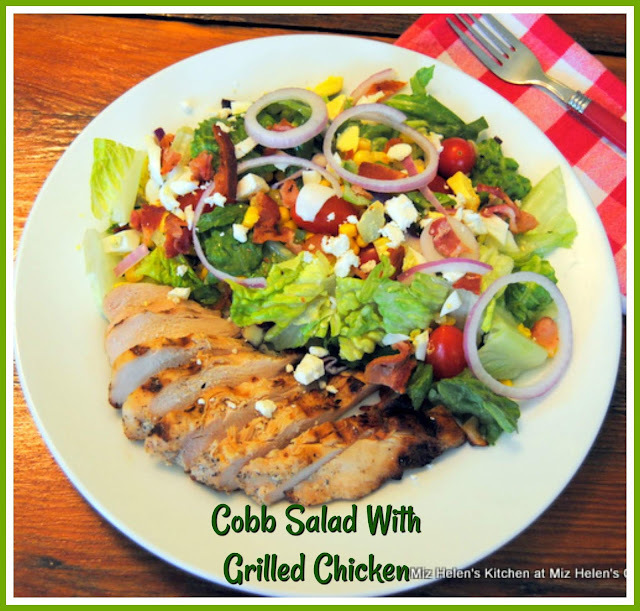 I use my Orange Chili Chicken with this Cobb Salad which adds great flavor to this salad mix. It is so nice to go out to the garden and bring back fresh vegetables to go into a great salad, then we are topping this salad with our delicious House Buttermilk Dressing. 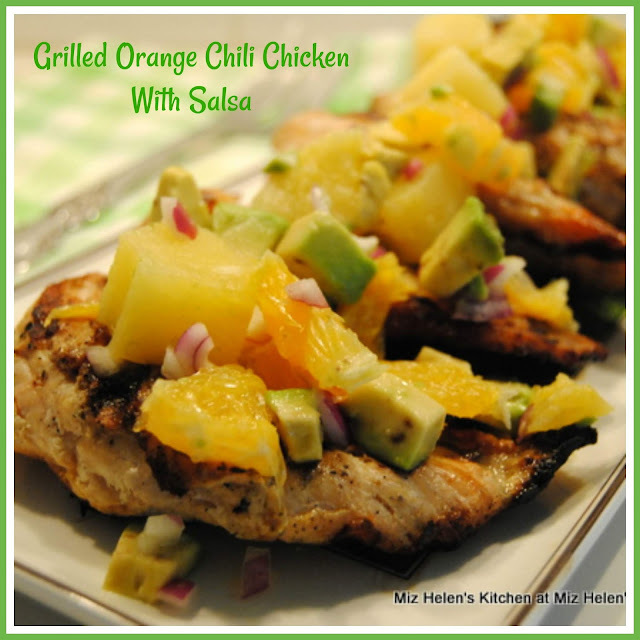 Heading out to the grill with this fantastic Orange Chili Chicken, this recipe is delicious! Not only is there a great flavor in the chicken but there is a very special salsa that we top the chicken with. This recipe is a combination of tropical and Mexican that comes together for fabulous flavor. I have served this recipe to guest a couple of times, I promised them the recipe, hope you enjoy! 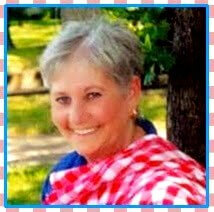 I am taking a break sitting on the porch and sipping sweet tea, while I work on this meal plan. It is good to sit down for a bit, we are harvesting onions from the garden today and it is quiet a process. We pull the onions, then clean them, than hang them in the barn to dry and then we will use them. I rarely have to buy onions from the market. With all the fresh vegetables available right now it sure is easy to make a meal plan, I just love the vegetables.